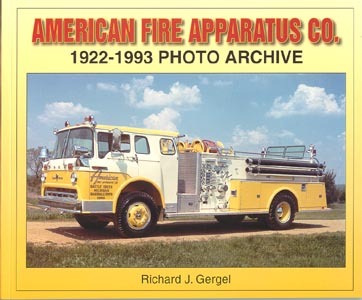 American Fire Apparatus produced a remarkable number of apparatus and was, for many years, an innovator and major force in the industry. View the complete line from beginning to the end, including brush trucks, mini-pumpers, pumpers (both custom and commercial), tankers, snorkels, crash trucks, aerial ladders and platforms. Informative text and captions include a company history as well as delivery schedules and original cost, where available. A city location index is also included.